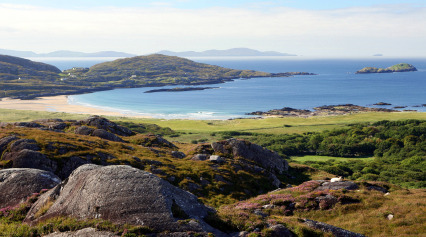 Unsure of what to expect from a holiday to the Ring of Kerry, Ireland? Here are five of my favourite day trips. and the Fantastic Diversity of this region of Ireland. Wherever you look your bound to run into great food, music and culture along with beautiful stretches of coastline, mountains, lakes and rivers. and anyone looking to relax and unwind. 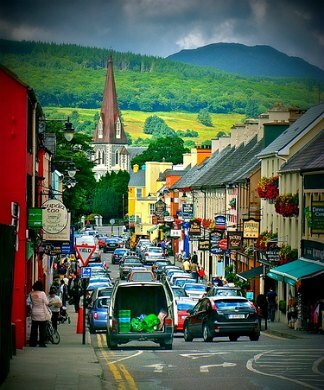 Located at the head of Kenmare Bay this bustling market town is a dream destination for food lovers. Boutique clothes shops - selling traditional brightly coloured wool and lace products. Wrap up a relaxed afternoon of shopping with a hot cup of tea and a fruit scone in the wonderful cafe Jam. Tom Crean or Packies - Serving beautiful, fresh, local seafood. Not to be missed coastal drive at the very end of the Iveragh Peninsula. 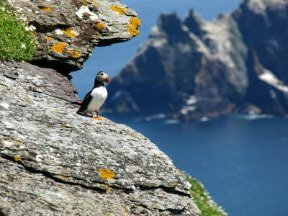 and Unforgettable Boat Trips to Skellig Michael. Everything that is great about this part of Ireland can be found in this short drive! 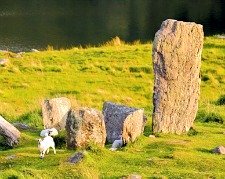 Don't just experience the Ring of Kerry, Ireland, from the inside of your car or coach! Get out and get connected to the great outdoors with this fantastic short walk. The views out across Kenmare Bay and out over the Atlantic Ocean are world famous. Remember to stop for a break at Derrynane Beach and enjoy a glass of Guinness in one of our favourite Kerry pubs, The Blind Piper, once you reach Caherdaniel. 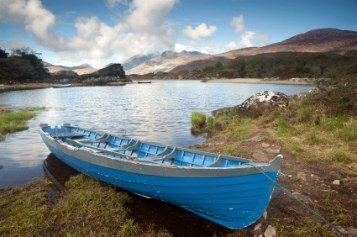 A Great Journey through the heart of Killarney National Park. Leaving from the shoreline by Ross Castle the boats travel up the lower, middle and upper Lakes of Killarney with great views of Ireland's highest mountains. Before finishing at Kate Kearney's Cottage - a very famous traditional Irish pub. From here why not plan your next trip? or Fly Fishing on one of the many great salmon rivers in this area. 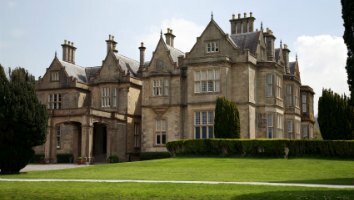 This famous country house and gardens is perched right on the edge of the Lakes of Killarney and was made famous after Queen Victoria came to stay in 1861. Much of the house has been painstakingly restored and the beautifully maintained gardens are a popular attraction in their own right. If you have time take a drive up to Torc Waterfall and "the Ladies' View" and continue on to the fantastic Avoca Shop and Cafe at Moll's Gap.